Last summer, we tried a little experiment to see if we could bring in some new faces and introduce ourselves to those who may think a great meal with quality ingredients at a nice restaurant is only for the suit and tie crowd. It was a huge success. We gained a lot of new fans and regular customers. Even if it meant lowering our profit for a time, it was indeed worth it. We proved that Decatur does have a lot of people who want something better than fast food or chain restaurants in their dining options. To thank our great customers, we have decided to bring back our $8 Lunch Special for a limited time! All sandwiches and salads on our lunch menu are only $8. 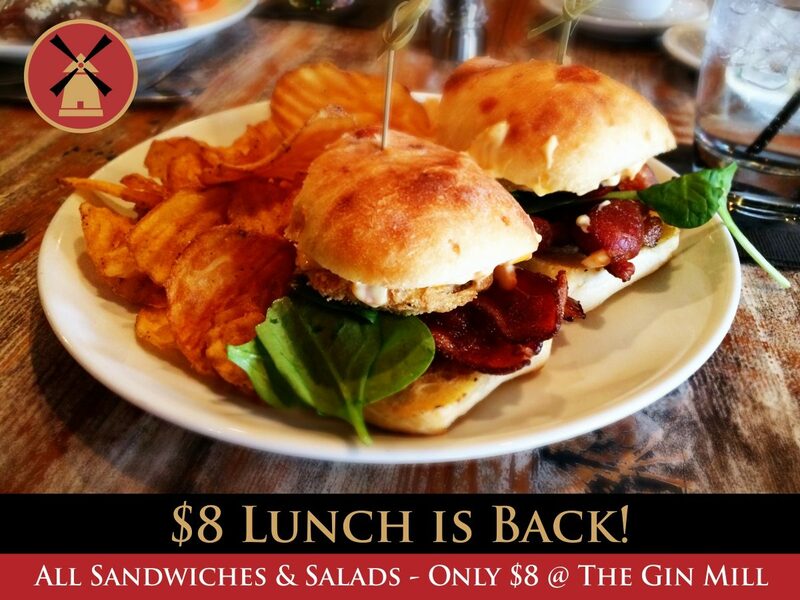 Lunch at The Gin Mill is Monday through Friday, 11am – 3pm.